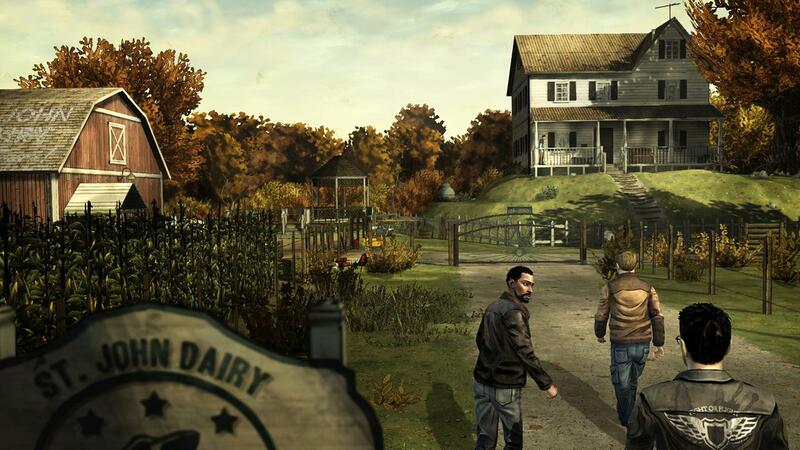 Today we'll be talking about Season 1 of the Walking Dead Game. 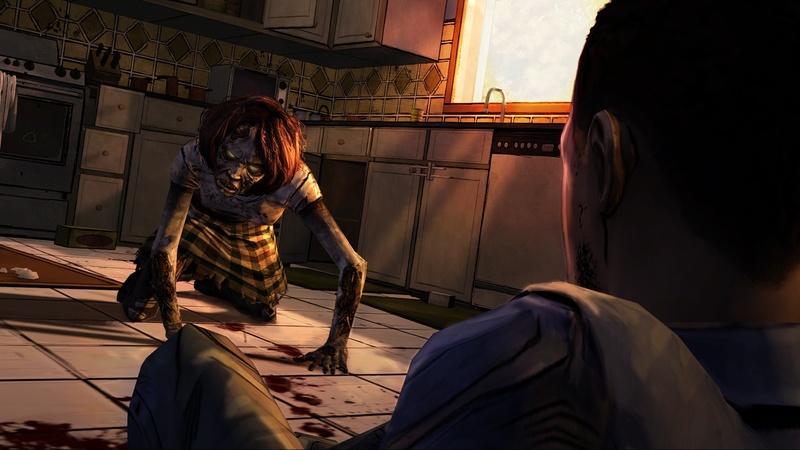 Telltale games took Borderlands' cel shading art style to the next level in this series. This art style really brings out a lot more emotion than any other style would have. It was perfect for the type of game they were making. The style is very consistent in everything that you see. You will sometimes (more towards the end) see repeats of the same models but they have created a diverse main cast that will only help bring tears to your eyes in the end. For a point and click game, it was very well done. One of my biggest issues is that sometimes I didn't have enough time to read the responses before the time ran out. If you're like me, I'd suggest to get someone who has already beaten the game to play it while you make all of the choices. This will give you much more time to think about all of the choices you have to make. Literally everything can and most likely will come back to haunt you so choose very carefully. It's also really good to have someone who's played it before to play it for you because there are little things that you may miss on your one. If you want to experience everything for yourself, go ahead! Just keep in mind to check everything possible when given the chance. Yes! The story is just that good. I haven't met a single person who hasn't cried or been saddened by the ending of season one. As I said before...Every. Single. Choice. Matters. 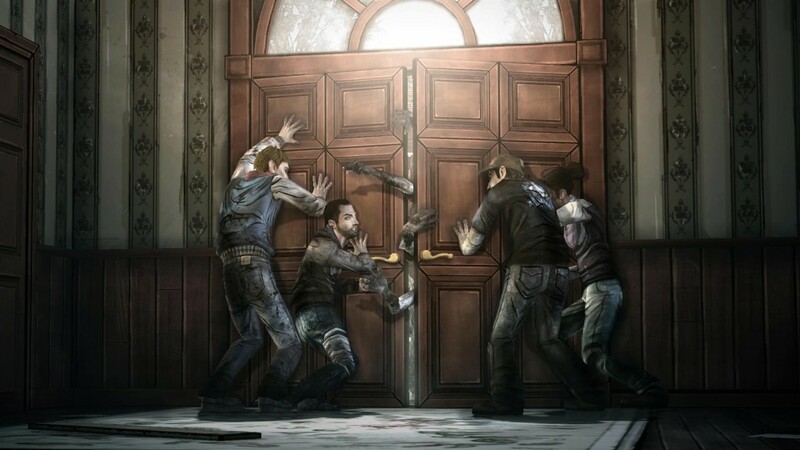 I got this game for Christmas this year just to have my dad and sister play it and when they got toward the ending I told them that the ending is based on one small choice they made earlier on in the game. They spent hours trying to figure out which choice it was only to be surprised by what it actually was. this game definitely messes with you. the story is by far one of the best that I've played in a long time. You are the one who is made to decide who lives and dies, and who to trust and who to be wary of. This is an amazing game with an amazing story. if you're like me and aren't that good at point and click games it's not too bad to get through. Sometimes you may have some issues with the timing but other than that there isn't much that's bad about this game. The game likes to mess with your head a bit and keep you on your toes. It's got some pretty graphic things in here so watch who you're playing it around, and make sure you're ready to see what you could possibly see. In the end this game is worth all of the stress and sadness it will cause you just because it's that good. Wild Card: Who is the best person to trust in this game? 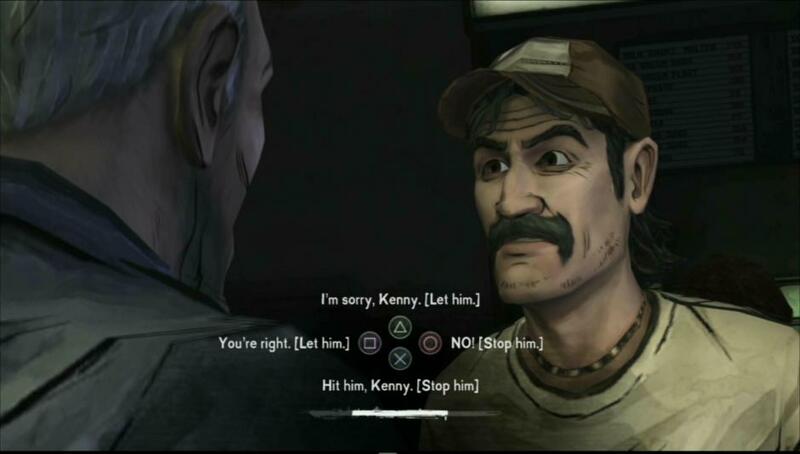 Other than Clementine, choose Kenny! Trust this man with your life! Try to stick to agreeing with him because if you stick up for him and protect his family he will always...always have your back! Kenny is a good guy who in return for your help will do almost anything for you. 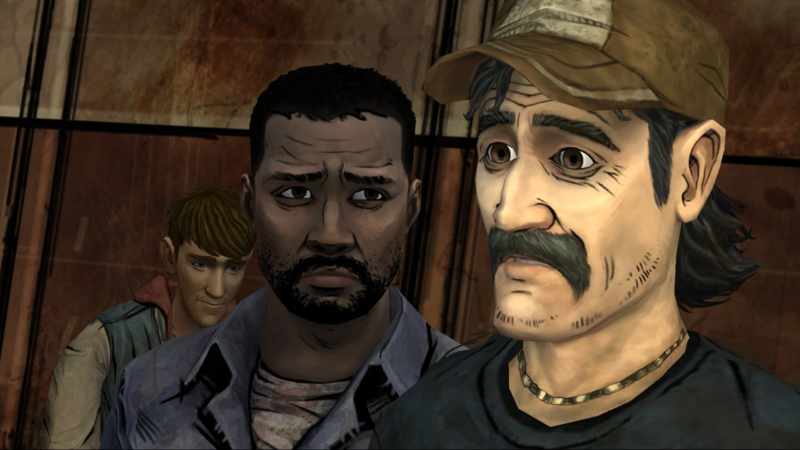 Everyone in this game has a hard life, Kenny is definitely one of the ones with the worst. It's nice to have a good friend on yours side.